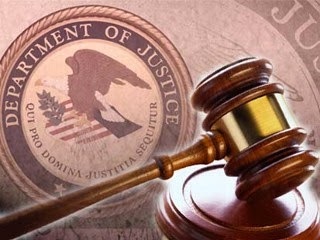 Preet Bharara, the United States Attorney for the Southern District of New York, Diego Rodriguez, Assistant Director in Charge New York Field Office of the Federal Bureau of Investigation (“FBI”), and Timothy P. Camus, Deputy Inspector General for Investigations of the United States Treasury Inspector General for Tax Administration (“TIGTA”), announced today that SAHIL PATEL was sentenced to 175 months years in prison and $1 million in forfeiture for his role in organizing the U.S. side of a massive fraud and extortion ring run through various “call centers” located in India, through which PATEL and his coconspirators impersonated American law enforcement officials and threatened victims with arrest and financial penalties unless those victims made payments to avoid purported charges. From December 2011 through the day of his arrest on December 18, 2013, PATEL participated as a leader in a sophisticated scheme to intimidate and defraud hundreds of innocent victims of hundreds of dollars apiece. Throughout the course of the fraud, telephone call centers located in India hired English-speaking employees to place telephone calls to individuals living in the U.S. Armed with long lists of potential victims, referred to by PATEL and his co-conspirators as “lead sheets,” those India-based callers systematically placed thousands of calls to individuals in the U.S. in the hopes of intimidating the call recipients into providing a payment to the co-conspirators. In order to extort these victims, the India-based callers impersonated law enforcement officials of the FBI and IRS and threatened their victims with financial penalties and arrest in connection with fabricated financial crimes. In addition to the prison sentence, PATEL, 36, of Tatamy, Pennsylvania, was sentenced to three years of supervised release. If you have been targeted by this scam, you can report the incident to TIGTA at www.tigta.gov and clicking on the IRS Impersonation Scam Reporting tab in the upper right corner, or call the TIGTA hotline at 1-800-366-4484. The case is being handled by the Office’s General Crimes Unit. Assistant U.S. Attorney Andrew C. Adams is in charge of the prosecution.